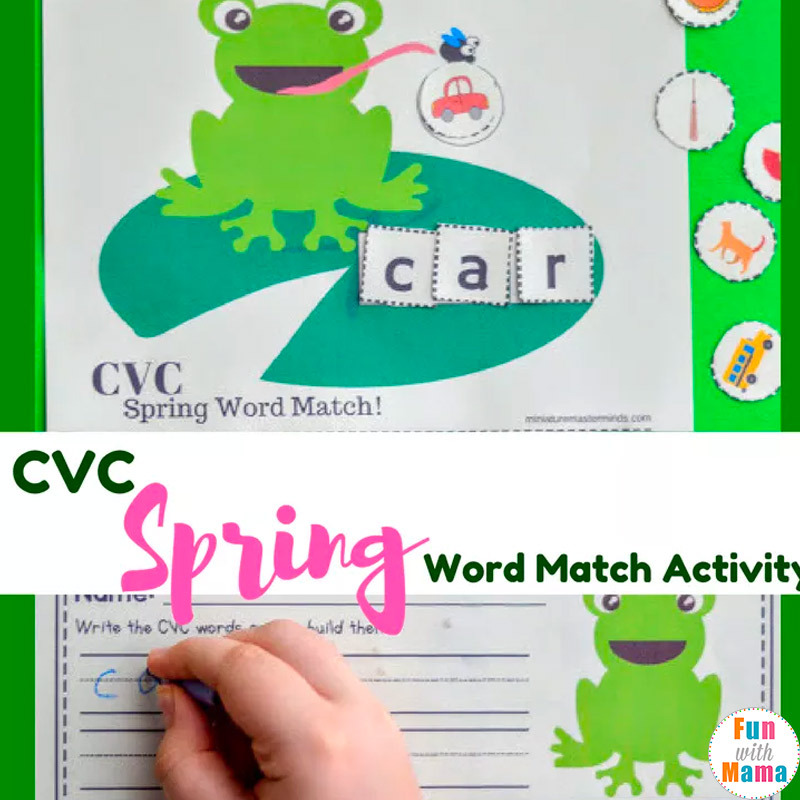 Today we have a free printable CVC Spring Word Matching Activity. 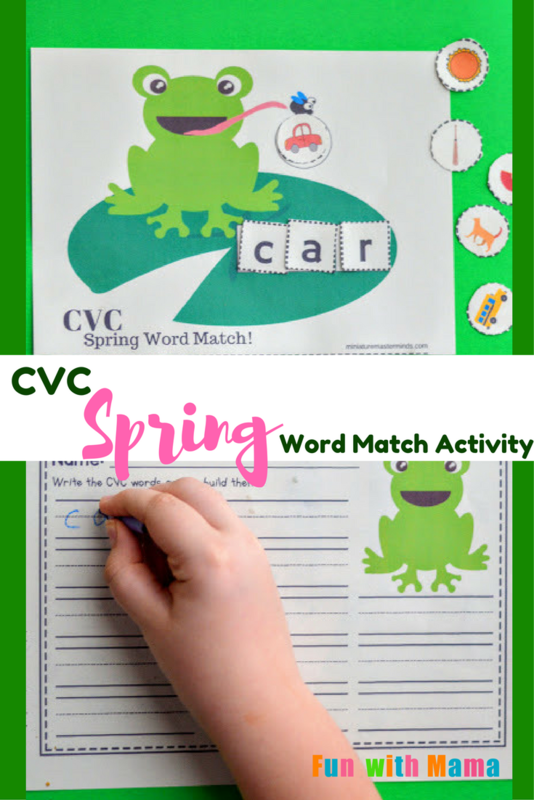 The kids will build CVC words, write them, and then read them while completing this activity. There are eighteen words included for them to practice. 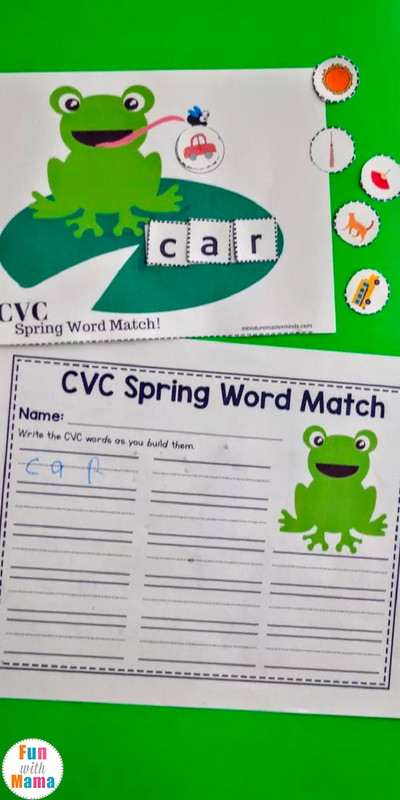 The object of the activity is to place a picture in the circle at the end of the frog’s tongue and then build the word with the letter blocks. 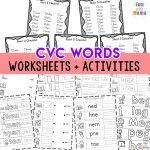 After they build the word and practice reading it, they will write it on the provided worksheet. 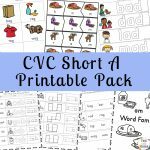 All you will need is a printer, paper, scissors, a pencil and a laminator. Print and cut out around the dotted lines. 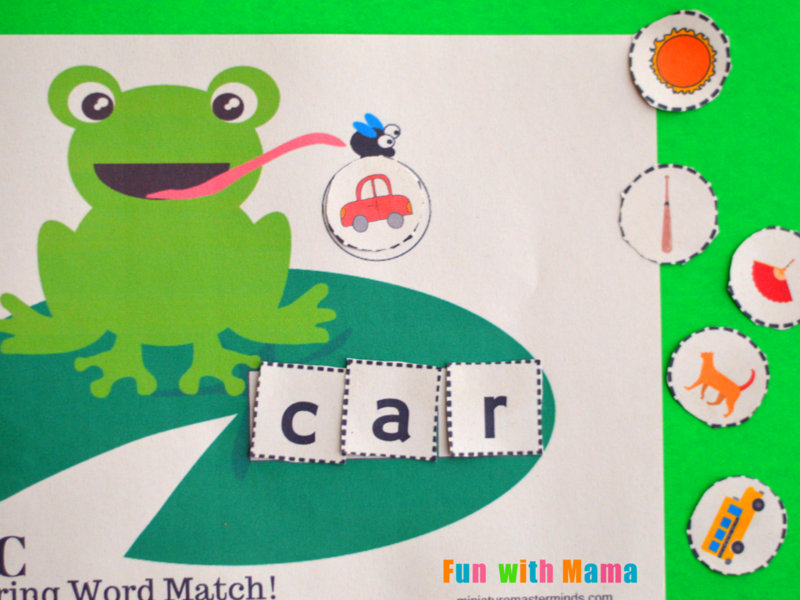 If you would like to re-use the activity I would suggest you laminate the letter tiles and froggy background. If not, then printing out the activity page on to card stock paper should be good enough. To get the kids started started, place an image under the fly. They will look at the image and spell it with the letter blocks on the lily pad. They will then read the word out loud. After they have built the word and practice reading it, have them write it in one of the spaces on the worksheet. 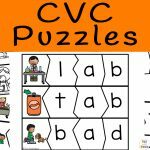 We have been working on basic words with the nearly kindergartner. She loves CVC activities. 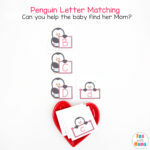 They are an easy way to build early reading skills and they accomplish that in a way that excites her to be able to read whole words by putting together the letter sounds she already knows. The image helps to connect the sounds they are forming to the pictured object. They can recognize the word more quickly with that connection. For more Spring preschool fun, check out this printable How Does Your Garden Grow? themed pack.